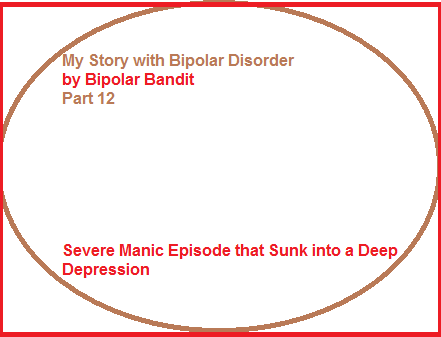 My last blog talked about how out of control I had gotten and how severe my manic episode was. I have learned over the years that the higher you go, the lower you sink. That is why I try and do everything I can to get manic. People like to say that people with bipolar disorder like their highs. I don’t like them because I know what can follow. My parents came and “rescued me”. They somehow got the car dealership to take the car back and the jeweler to take the refund the money for the ring. I went back with them and now was living with my parents again. I was so depressed. I felt ashamed, embarrassed, depressed, and a failure. I did not want to go anywhere because I did not want to run into anyone I knew. I did not enjoy much of anything. I have to say that my sister who was still living at home was a godsend. She could have been embarrassed by me and not wanted anything to do with me. Instead, she would spend time with me playing card games, etc. I remember watching her practicing on the soccer team and she never let me know that she was embarrassed by me. I still feel badly that when she should have been having the happiest time of her life, she had her depressed sister at home. She is such a wonderful, caring person, I don’ think she ever felt that way, but I am sorry. I had no hope. I did not want to go back to school. I could not function at a job and probably could not get a job anyway with my lack of confidence. Everything felt hopeless. I felt at times that suicide might be the only solution, but decided I just could not do that to my family. I was feeling self pity. Why did I have this awful illness? Why me? Why couldn’t I just have graduated? Why did I do all those stupid things? Why did I do those things that hurt my family in the long run? Why? I just did not know how I was going to ever live a “normal” life. Was I ever going to doing anything with my life? I was always such a high achiever and now I was living at my parent’s house feeling like I had nothing to live for. With my parents determination and encouragement, I started trying to figure out how I could go back to school. I am not sure how I got the confidence again, but I found out that I could go back to school in Florida and get into a program where I could still graduate with a teaching degree at the same school I had attended. So, my mom and I drove back down to Florida. 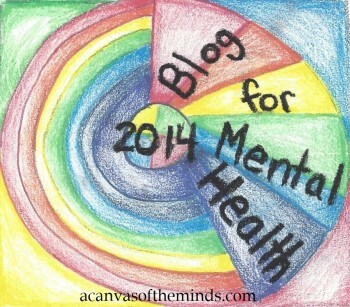 This entry was posted in Uncategorized and tagged depression, manic, severe depression. Bookmark the permalink.